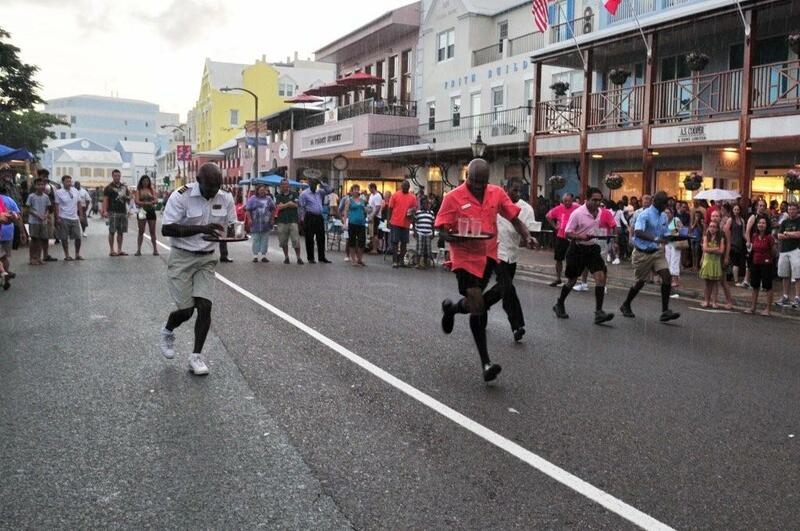 During Harbour Nights on Wednesday, August 24th, the Hotel Olympics was held, which consisted of a bellman’s race, a waiter’s race and a bed race. The Fairmont Southampton, Fairmont Hamilton, The Reefs, Elbow Beach, Grotto Bay, Rosewood Tucker’s Point and Rosedon were all participants in the competition. Each race was governed by a set of rules and judged on criteria such as time and accuracy and the event was MC’d by Bruce Barritt. The winner of the bed race was Elbow Beach, despite having come in last in speed, they finished with the highest points from the judges. The Fairmont Hamilton won the bellman’s race, the waiter’s race and was also the overall winner of the Olympics. The event was sponsored by the Bermuda Hotel Association, the Bermuda Alliance for Tourism, Cable & Wireless and Barritt’s.